Yield: Yields 32 to 40 meatballs. 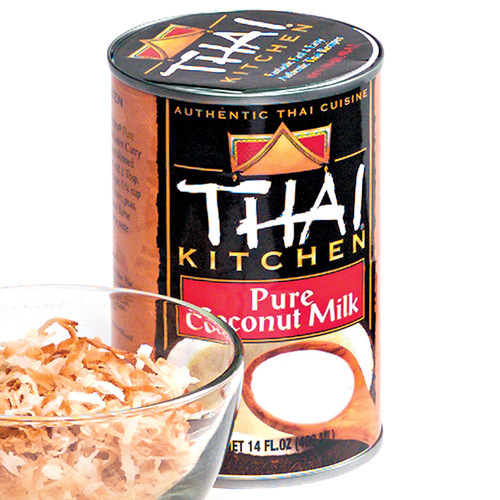 Thick canned coconut milk tames the fire in this curry. The brand Chao Koh is recommended because it develops a thick, creamy layer on top if you don’t shake the can before opening it. Put the flour on a plate. Put the beef in a bowl, sprinkle with the salt and pepper, and mix well. Shape the beef into small, firm balls about 1 inch in diameter; you’ll get 32 to 40. Roll the meatballs in the flour, dusting off the excess. Line a plate with paper towels. In a wok or frying pan, heat the oil on high until it’s hot. Fry the garlic until browned, about 1 minute; remove and set aside. Add the meatballs and sear them on high heat, stirring and tilting the pan, until they’re browned evenly and cooked through, about 5 minutes; do this in batches, if necessary. Using a slotted spoon, transfer the meatballs to the paper towel-lined plate to drain. If no oil remains in the pan, add 2 tsp. 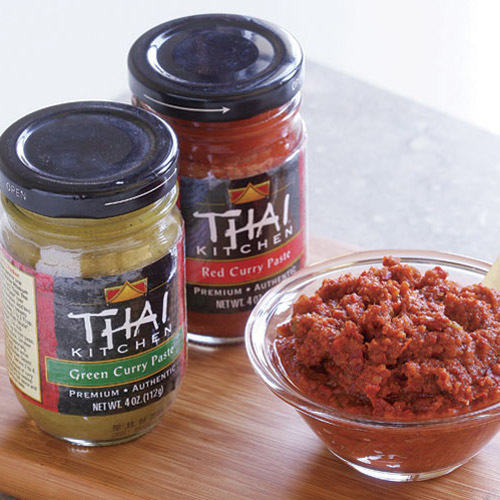 and fry the red curry paste so it releases its aromas, about 2 minutes, stirring with a wooden spoon to prevent sticking. Add the reserved garlic and the solidified coconut milk and then stir in the peanut butter. Cook and stir to get a smooth, uniform consistency, about 1 minute. 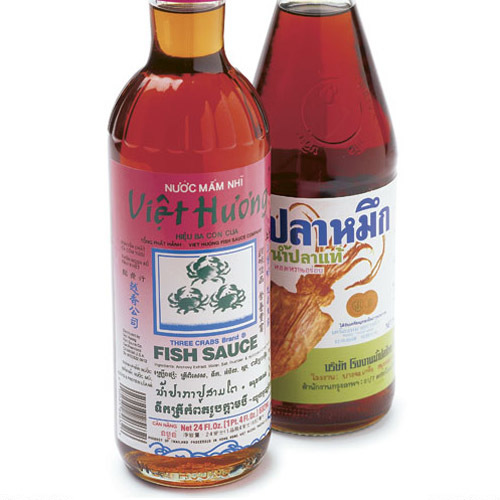 Taste and add fish sauce, sugar, or more curry paste to taste; the sauce shouldn’t be too sweet. Return the meatballs to the pan with the sauce and simmer over low heat until they’re hot, about 2 minutes. 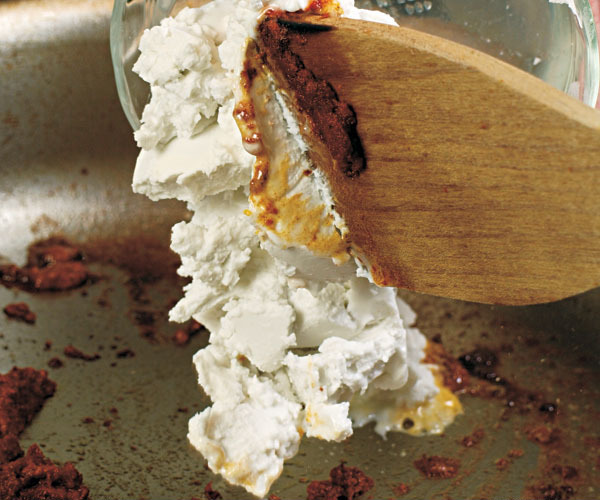 Transfer to a serving dish and garnish with the mint or basil sprinkled on top. Honestly, we cook from Fine Cooking 3-4 times per week, on average, and are rarely disappointed. On hectic weeknights, a dish such as this one is a pleasant way to unwind once we both arrive home. There is lots of complex and warming flavor- just enough kick to provide that nice zing. 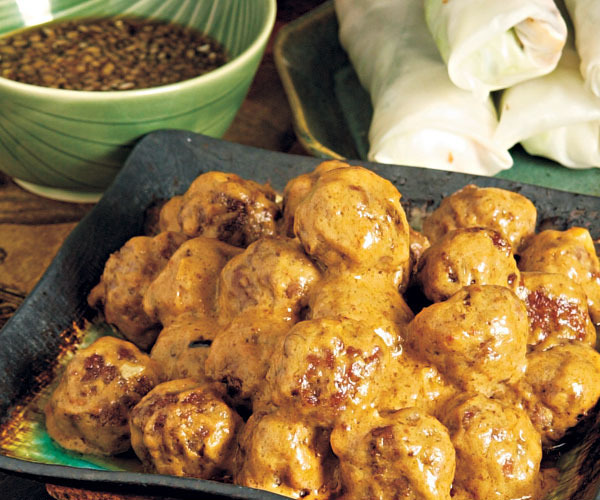 Brown the meatballs really well and use a good red curry paste and coconut milk, as recommended. My husband doesn't care for peanut butter, but loves these meatballs. This was disappointing. The sauce was heavy and dull. I added more red curry paste, but it didn't help.